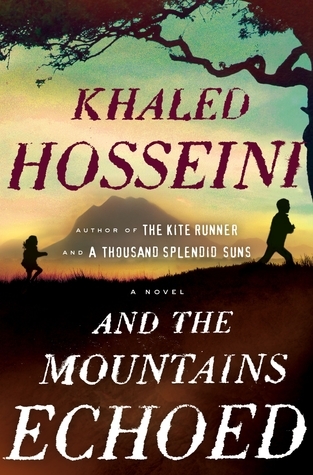 Hosseini’s third novel begins in an impoverished Afghan village in the early 1950s. Abdullah, age 10, and his little sister, Pari, age 3, share an incredible bond – they are everything to each other. Having lost their mother, they live in a shack with their father, step-mother, and infant half-brother. Life is hard, and hunger, disease, or a harsh winter takes lives without remorse – and yet Abdullah and Pari are happy. Until the unthinkable happens – an act that tears them apart and changes the course of each of their lives forever. This act reverberates across generations and continents – which the title alludes to. As the story travels through time and place, there is an ever-present question: had the act that separated the siblings never happened, would they have been better off? This thread refers back to a fable that the novel opens with – a fable Pari and Abdullah’s father tells them the night before their lives irrevocably change direction. It’s an engrossing story, and I enjoyed it very much, although not quite as much as I enjoyed Hosseini’s two previous novels. There are a lot of characters to keep track of, and their lives intersect in big and small ways. Some of the characters and their stories seemed a little unnecessary to the overall story – in a way it felt a little diluted to me. In the end, Hosseini managed to break my heart a little – it is a story that will stay with you. I enjoyed this book too, but didn’t like it as much as his other novels. I agree that there were too many characters to keep track of and some of them were simply filler. The overall story though was heart wrenching. All of his works have stayed with me; he’s an interesting writer and his subjects are something that I yearn to understand and know more about.